This is the second part of a series of posts that addresses the science regarding plant based diets and the documentary Forks Over Knives and the very serious inaccuracies and omissions that compromise the critiques authored by the cholesterol skeptics, in particular Denise Minger. Large systematic reviews of the nutritional literature authored by major international health authorities and by panels of leading nutrition researchers, many of which have disclosed ties to livestock industry, have consistently come to the conclusion that diets should be predominately plant based.1 2 3 4 The documentary Forks Over Knives features a number of doctors who have come to the conclusion that the allowance of animal foods in 'small-to-modest' amounts (made by researchers who often have financial ties to the livestock industry) are too permissive and that an optimal diet should be almost entirely composed of minimally refined plant foods. 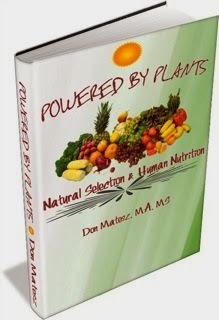 They also conclude that many major chronic and degenerative diseases that affluent populations succumb to can be prevented, and in many cases even reversed by consuming a whole-foods plant based diet. For the vast majority of nutritional researchers the question is no longer as to whether a plant based diet or an animal based diet is more optimal, but as to what the upper tolerable intake is in an optimal diet for foods not derived from minimally refined plant foods. We can’t tell people to stop eating all meat and all dairy produces. Well, we could tell people to become vegetarians... If we were truly basing this on science we would, but it is a bit extreme. The first is the identification of conspiracies. When the overwhelming body of scientific opinion believes that something is true, it is argued that this is not because those scientists have independently studied the evidence and reached the same conclusion. It is because they have engaged in a complex and secretive conspiracy. This merits exploration as to whether the cholesterol skeptics motivations are any different than these other denialists, and whether many of the hundreds of peer-reviewed papers they also dismiss as 'junk' science are actually informative and contain potentially life-saving findings. Cholesterol skeptics will often claim that the results of any study suggesting harmful effects of animal foods were obscured due to participants consuming unnatural foods produced by intensive farming practices. 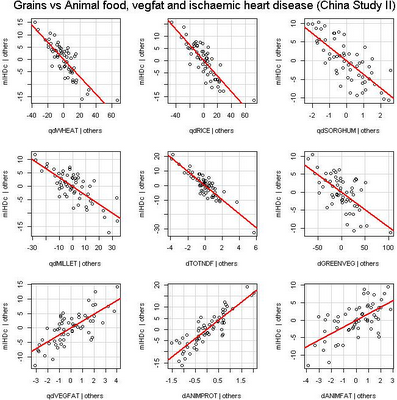 The cholesterol skeptics however provide scant evidence regarding the perpetrated health benefits of replacing whole plant foods with naturally produced animal foods. 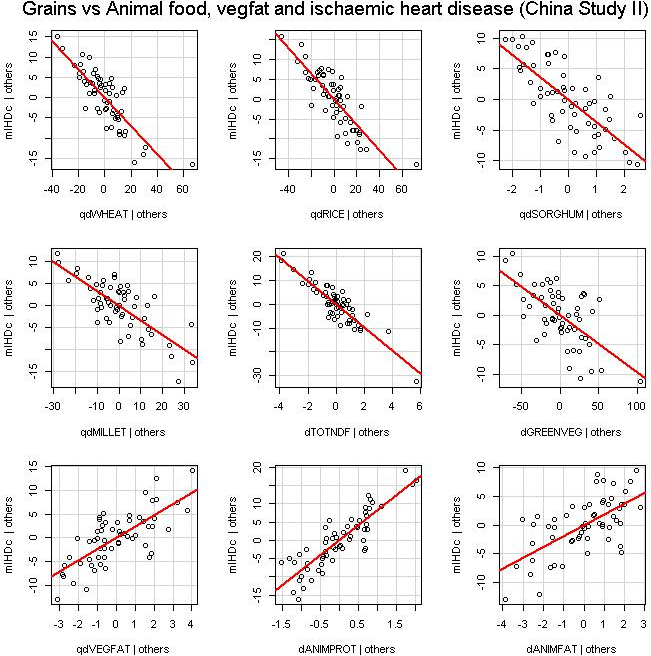 Studies cited throughout both Part I of this review and this current post demonstrate that the association between replacing minimally refined plant foods with animal foods and poorer health expectancy can largely be explained by the fact that animal foods are typically naturally rich in methionine, dietary heme, saturated fat, dietary cholesterol, ruminant trans-fat, and hormones, and deficient in dietary fiber, antioxidants, carotnoids and phytochemicals, just to name a few. 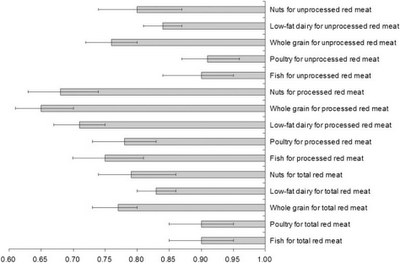 A number of studies that have actually found some of the strongest associations between animal food intake and an increased risk of chronic diseases were actually carried out in populations where livestock is primarily grass fed and administration of hormones to livestock are banned by law, such as in Uruguay.9 10 11 12 These studies cannot simply be explained as exceptions as they are consistent with evidence from before the widespread use of intensive farming practices that produce unnaturally raised livestock. ...cancer is most frequent among those branches of the human race where carnivorous habits prevail. Careful study of the life-history of centenarians and of persons of advanced age who, as we have seen, are very rarely the victims of cancer shows that they are generally of spare figure, medium height, and that they eat frugally, taking but little meat and alcohol....In this connexion, it may be well to recall the fact, that although cancer is remarkably rare in vegetarian communities, yet complete exemption cannot be claimed for such ; and the like is true of herbivorous, as compared with carnivorous animals. 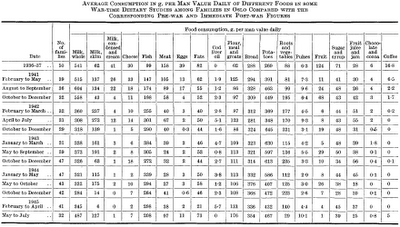 In spite of these facts, which indeed are only such as might have been expected from the essential nature of the problem, there cannot be the slightest doubt in face of the overwhelming evidence I have adduced in the course of this work that the incidence of cancer is largely conditioned by nutrition. 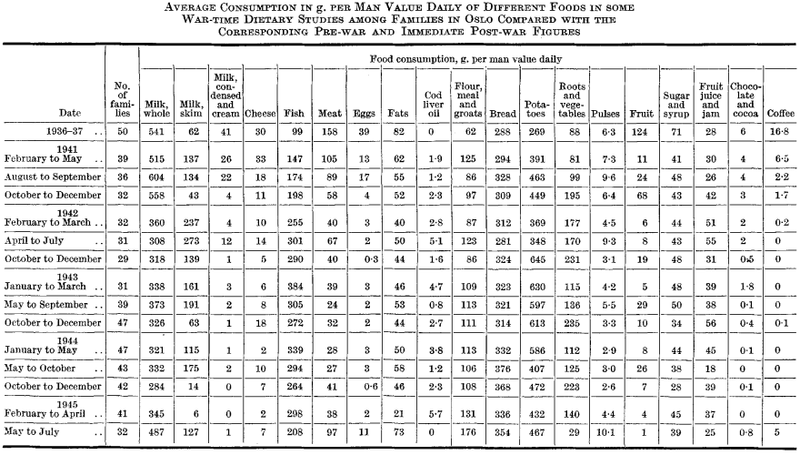 Kuczynski (1925) reported on an Asian population at the opposite end of the dietary spectrum - nomadic Kirghiz plainsmen who habitually consumed large amounts of meat and milk. He noted high incidence of obesity, premature extensive atherosclerosis, contracted kidney, apoplexy, and arcus senilis. Their urbanized kinsmen, subsisting on more varied fare, did not exhibit such severe vascular disease. ...arteriosclerosis and degeneration of the myocardium are quite common conditions among the Inuit, in particular considering the low mean age of the population. The following videos (Videos 1-6) are from the very inspirational Primitive Nutrition Series produced by Plant Positive, providing further details that address the very serious flaws and omissions that compromise the claims from advocates of animal based diets regarding primitive population studies. Often overlooked by the promoters of wheat free diets is that well fermented wheat eliminates the great majority of gluten and has shown to be tolerable by celiac patients.58 Furthermore both epidemiological studies and randomized controlled trials have found that whole grain wheat does not promote weight gain or impair satiety and is likely beneficial.59 60 61 62 63 Lastly, the fact that many of the authors of some of the most popular weight loss diet books that advocate the restriction of wheat and grain intake in favor of animal foods have remained over-weight despite apparently following their advocated diets for decades raises further questions as to whether such diets are the most optimal for weight loss and healthy longevity (Video 7). Refer here for a very informative review that documents the very serious inaccuracies, omissions, and oversimplifications presented in the book Wheat Belly. In view of the 10 to 1 gradient between concentrations of LDL in plasma and interstitial fluid, a level of LDL-cholesterol in plasma of 25 mg/dl would be sufficient to nourish body cells with cholesterol. This is roughly one-fifth of the level usually seen in Western societies. Several lines of evidence suggest that plasma levels of LDL-cholesterol in the range of 25-60 mg/dl (total plasma cholesterol of 110 to 150 mg/dl) might indeed be physiologic for human beings. First, in other mammalian species that do not develop atherosclerosis, the plasma LDL-cholesterol level is generally less than 80 mg/dl. In these animals the affinity of the LDL receptor for their own LDL is roughly the same as the affinity of the human LDL receptor for human LDL, implying that these species are designed by evolution to have similar plasma LDL levels. Second, the LDL level in newborn humans is approximately 30 mg/dl, well within the range that seems to be appropriate for receptor binding. Third, when humans are raised on a low fat diet, the plasma LDL-cholesterol tends to stay in the range of 50 to 80 mg/dl. It only reaches levels above 100 mg/dl in individuals who consume a diet rich in saturated animal fats and cholesterol that is customarily ingested in Western societies. 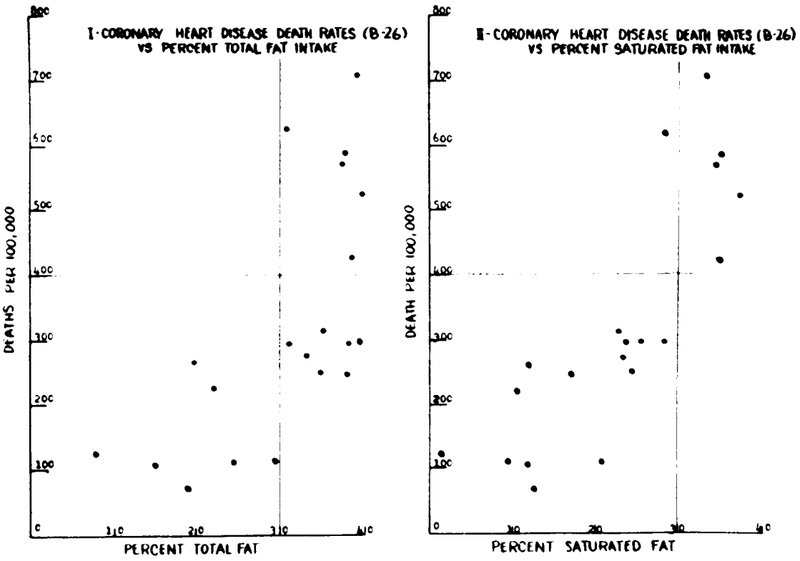 Minger made an unreferenced suggestion that Dr. Esselstyn’s patients while having no additional coronary events over several decades while adhering to the prescribed diet, may have somehow achieved better results if they consumed a diet that raised their HDL and lowered their triglycerides. She also made an unreferenced suggestion, perhaps referring to epidemiological studies that lowering cholesterol can increase the risk of developing a number of diseases, including cancer and neurological disorders. As is typical with the cholesterol skeptics, Minger will often dismiss any epidemiological study with findings suggesting adverse health effects of animal based foods as being largely uninformative, insisting that 'correlation isn’t causation'. Therefore this merits exploration into how epidemiological studies compare to randomized controlled trials used to prove 'causation' relating to Minger's concerning comments about serum lipids. These studies provide convincing evidence that the primary mechanism in which statins lower coronary heart disease can be explained by it effects on lowering LDL cholesterol. These studies also provide convincing evidence that the benefit of lowering LDL depends on both the timing and the magnitude of the LDL reduction, and that the benefits associated with lower LDL are largely independent of the mechanism in which LDL is lowered. This in-turn supports the benefits of a plant based diet combined with exercise, the safest way to significantly lower LDL cholesterol, beginning as early in life as possible (Video 8). If raising HDL can actually modify cardiovascular risk, then this data provides convincing evidence that it is important to consider the mechanism of HDL rather than the concentration alone. For example it has been shown that diets high in saturated fat impairs the anti-inflammatory properties of HDL compared to polyunsaturated fat, and that high fiber low-fat diets convert HDL from pro to anti-inflammatory HDL.83 84 85 In addition animal fat contains dietary cholesterol and ruminant trans-fat which has been shown to raise the LDL/HDL ratio in randomized controlled trials.86 87 88 Therefore the preponderance of evidence demonstrates that attempting to raise HDL in the presence of an increased saturated animal fat intake as advocated by cholesterol skeptics will only increase the risk of cardiovascular disease. 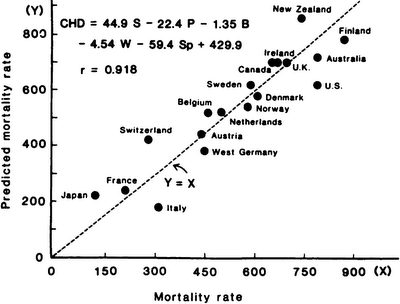 Many epidemiologic studies published in the 1980s documented an association between low circulating cholesterol and higher overall cancer incidence and mortality. This association has been attributed to reverse causation, that is, undiagnosed cancer causing a reduction in cholesterol levels. Reverse causation is strongly supported by observations that cholesterol levels decline before cancer diagnosis and that associations between low cholesterol and cancer incidence and mortality weaken when the first few years of study follow-up are excluded. In addition, a meta-analysis of randomized trials of cholesterol-lowering statins found no effect on risk of cancer, although only short-term effects could be addressed due to the short duration of most trials. For the evidence regarding diet and serum lipids and the risk of stroke please refer to Part I and Part II of my review addressing this subject. 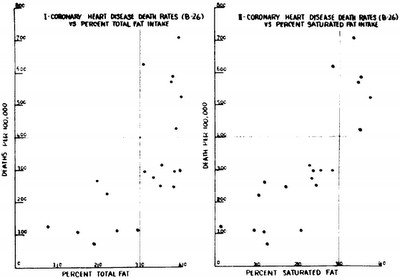 There’s no doubt about it: In 1941, when cardiovascular disease started plummeting, Norwegians were eating more total dairy (light blue line) than they were before the war, when the death rate was higher. In Oslo the observed heart attack rate of men was actually slightly higher in 1941 compared to 1936-37, but then plummeted in 1942 simultaneously with the decreased intake of dairy, particularly from high fat sources. 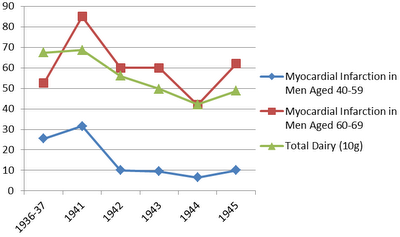 The observed increased heart attack rate in Oslo men in 1945 with an increased intake of diary in early to mid-1945 among these Oslo men (Figs. 2, 3). The overall vascular effects of mercury include increased oxidative stress and inflammation, reduced oxidative defense, thrombosis, vascular smooth muscle dysfunction, endothelial dysfunction, dyslipidemia, and immune and mitochondrial dysfunction. The clinical consequences of mercury toxicity include hypertension, coronary heart disease, myocardial infarction, cardiac arrhythmias, reduced heart rate ariability, increased carotid intima-media thickness and carotid artery obstruction, cerebrovascular accident, generalized atherosclerosis, and renal dysfunction, insufficiency, and proteinuria. The following videos (Videos 9-12) are from the Primitive Nutrition Series produced by Plant Positive that address some of the very serious flaws and omissions in Denise Minger's interpretation of the China Study. For example, it may not be useful, as is usually done, to compare a specific food to all other sources of energy, which are usually mainly refined starches, sugars, red meat, and fat-rich dairy products in typical Western diets. The long interval between exposure and outcome is a source of concern, because certain participants may change their dietary habits during the intervening period. However, this is more likely to generate non-differential misclassification and, thus, attenuate the evaluated association. In fact, we saw a tendency for the incidence rate ratios to decline with longer follow-up. Another important factor is that it has been observed that participants often change their dietary and lifestyle habits, including refraining from consuming meat and saturated fat due to illnesses or unfavourable risk factors that ultimately become life threatening.180 This frequently causes researchers to observe participants with a high risk of developing diseases as having lifestyles and consuming diets that are portrayed as being healthy, a phenomenon known to bias the benefits of smoking cessation towards null.181 It is also important not to neglect that many of the recommendations to avoid consuming a number of toxic substances, including tobacco are not based off results from controlled clinical trials investigating hard disease end points, but often purely based off epidemiologic, metabolic and laboratory studies. Ignoring the totality of the evidence simply due to a lack of large clinical trials can result in absurd consequences, including a missed opportunity for healthy longevity. Denise Minger’s biases have become exceptionally clear throughout her posts compromised by very serious and evidently intentional inaccuracies and omissions regarding the evidence supporting the health benefits of plant-based diets. She has also demonstrated her biases through descriptive statements such as ‘How to Win an Argument with a Vegetarian’ and ‘wheat is murder’, as well as with the posting of completely irrelevant photos of vegans that she appears to be ridiculing (Video 13). Minger constantly attempts to refute that she is bias in favor of promoting animal foods by claiming that this cannot be true simply because she was previously a vegan, and still eats a primarily plant based diet. Such claims should be considered with extreme caution in light of the fact that a number of other confusionists, including several honorary members of the Weston A. Price Foundation, such as William Douglas and Barry Groves who were opposed to smoking tobacco until they apparently discovered as they have described it, that the consensus that smoking is disease promoting was derived from ‘prejudices based on false science and government propaganda’, that there is a ‘broad spectrum of therapeutic and preventive applications of tobacco smoking for human medicine’, that ‘tobacco smoke contains no carcinogens’, and even that nicotine can ‘Help you live longer’.182 183 184 Perhaps the real reason Minger consumes a plant based diet is simply because she is well aware of the health benefits over a diet rich in animal foods. Lastly, it is not scientifically justified to assume that someone's diet is optimal just because they perceive themselves as being healthier after a dietary change. Humans simply do not have the ability to feel the initial stages of development of atherosclerosis and cancer, nor feel the cancerous N-nitroso compounds form in their digestive tract and their serum cholesterol rise after digesting an animal rich meal. 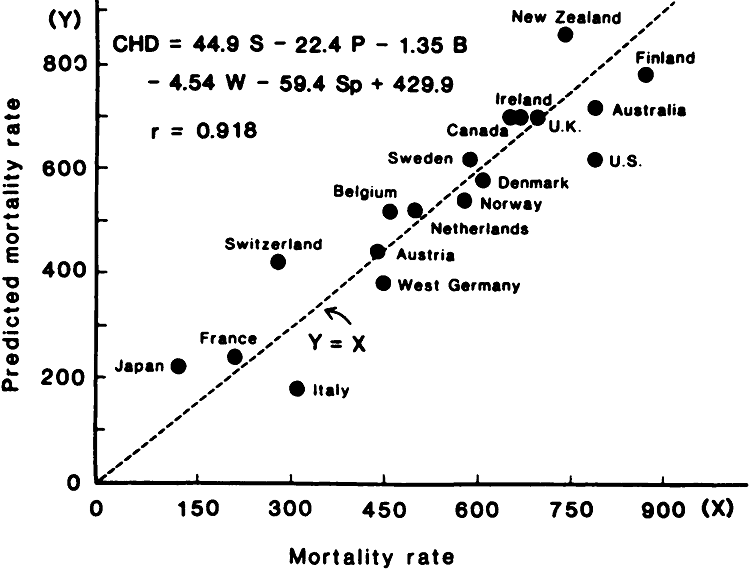 There is usually a significant time lag of up to several decades between dangerous lifestyle changes and the maximum risk of developing the associated diseases (Video 7).185 186 Furthermore, sudden cardiac death which has been associated with high protein and ketogenic diets is a leading cause of death in the developed world, a disease where there are typically no associated symptoms up until one hour prior to death.187 188 189 190 Dr. Michael Gregor outlines sudden cardiac death in a video regarding the remarkable findings from the China Study explaining how no one needs to succumb to this (Video 20). Please post any comments in the Discussion Thread.